Wild Irishman is located about a half mile southeast of Keystone Lake off of Soda Ridge Road. 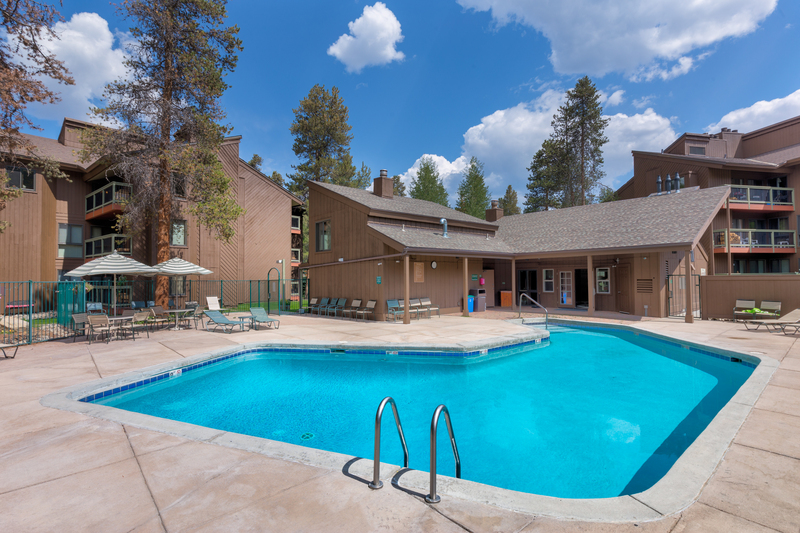 Nestled amongst mature pines and near the base of a mountain, this complex is a great choice for those seeking a peaceful environment while still being close to all the resort has to offer. 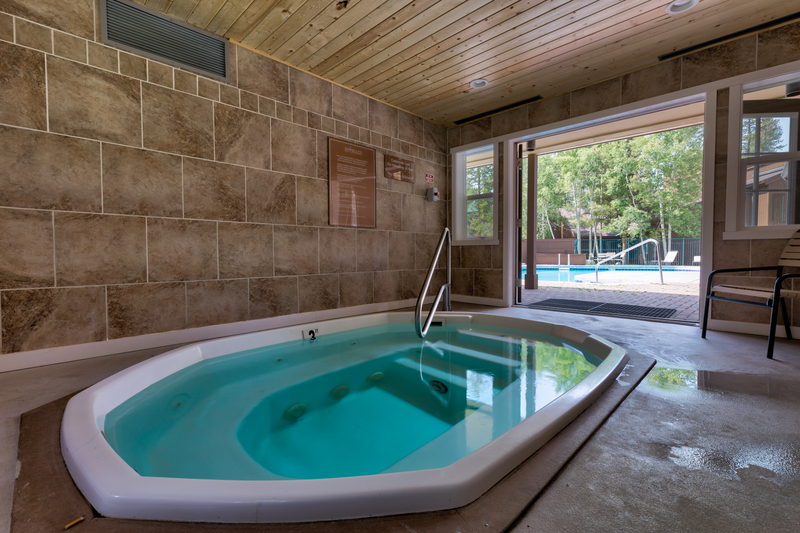 This complex features a centrally located pool and hot tub that offer beautiful views. The Wild Irishman Clubhouse houses the hot tub and there are changing rooms. There is also an outdoor grill area and picnic spots. The complex offers a cozy lobby with a fireplace. Hiking, biking and snowshoeing are just steps from the complex and the out of the way location makes for great wildlife viewing. Keystone Lake is just a six-minute walk away or guests can head over to the shuttle stop off of Wild Irishman Road and take the shuttle anywhere in the resort. Lakeside Village is a short five to eight-minute walk away, depending on the route taken, where you can enjoy ice skating, hockey, canoeing and paddleboating or visit one of the many shops and restaurants. 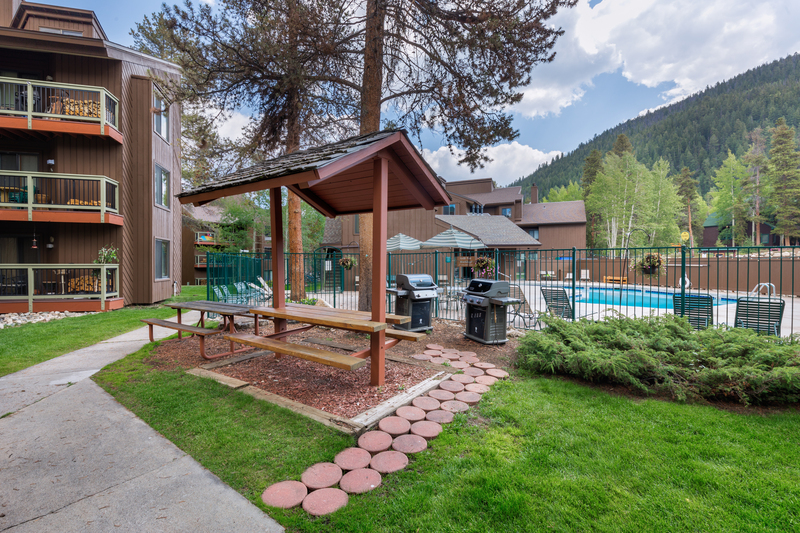 Keystone Lodge & Spa is north of the complex and just four to six minutes away if walking. The River Course at Keystone is only a five-minute drive away while the Keystone Ranch Course is a bit further at seven to eight minutes. The bike path is east of the complex just across West Keystone Road and runs throughout the resort and all of Summit County. The rest of the resort is a short drive or shuttle ride away where you can enjoy skiing, snowboarding, ice skating, tubing and gondola rides. Drive to the Mountain House Base Area in three minutes and River Run Village in less than six minutes. 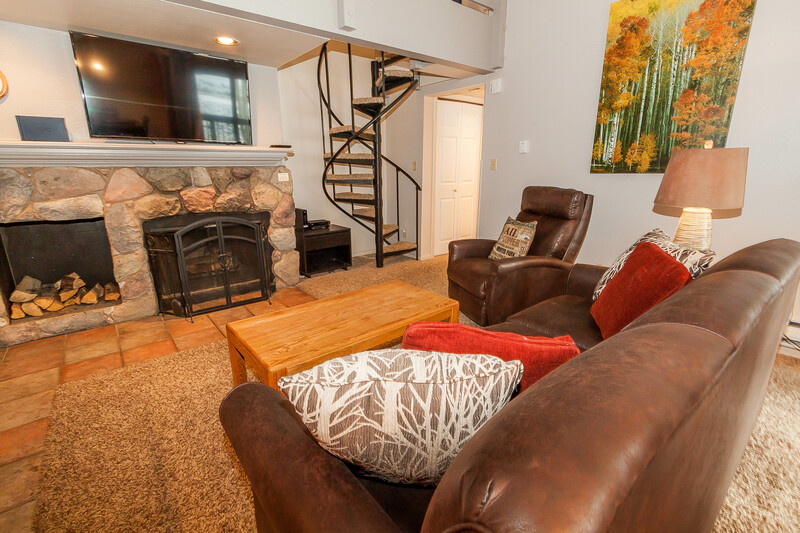 Features vaulted ceilings and a wood-burning fireplace. Bathrooms renovated in the Fall of 2018. Updated kitchen, private laundry and a king bed in the master. Quiet location and nearby shuttle stop gets you to the resort within minutes. 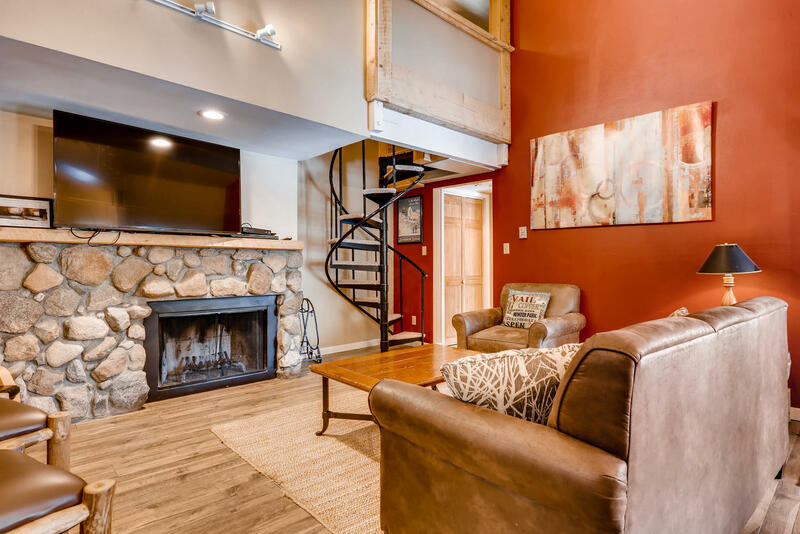 Features vaulted ceilings and a wood-burning fireplace. Updated kitchen and bathrooms. Private balcony with treed views. Quiet location and nearby shuttle stop gets you to the resort within minutes.